The iCalendar timetable feed service provides personalised iCalendar (or iCal) timetables for subscription into 3rd party applications such as Google calendar and mobile handsets such as iPhone. The iCalendar feeds are in standard .ics format, and present a list of the student and staff teaching events driven from the student data system and timetable information. The feeds are updated regularly, although there will be some time delay between any timetable or group allocation changes. The calendar feed will update fully with any changes every 24 hours, however this is dependent upon the settings of your particular device or service. Each iCalendar event holds information in the event to tell you when the data was last updated. Your personalised feed url is of the form: https://www.kent.ac.uk/timetabling/ical/[id].ics where the value [id] is a five digit number that is specific to each individual. Why does it say ‘Your iCalendar feed is not currently available’? If you are not yet registered, or you do not have any appropriate teaching timetable event associations, no iCalendar feed will be produced for you. 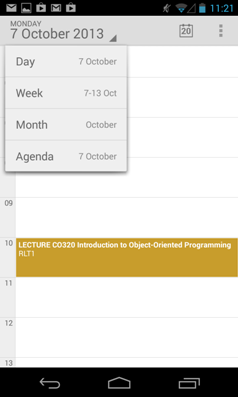 The iCalendar feeds are open access, so in principle anyone could view a personalised calendar feed e.g. 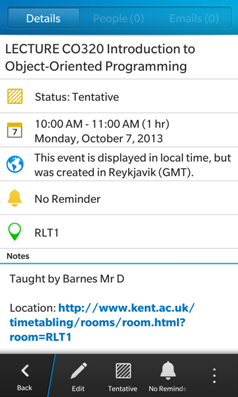 your parents could also view your teaching timetable on their iPhone if you sent them the link! But there is no identifying information within the iCalendar feed file. How do I use my iCalendar feed? You can subscribe to your personalised calendar feed from many calendar applications so that your teaching timetable will be presented alongside your personal calendar. Here are instructions for some mainstream platforms. Note: Unfortunately you cannot subscribe to a calendar feed in Outlook Web Access – although students can use the Windows Live Calendar feature which has some useful functionality (see below). 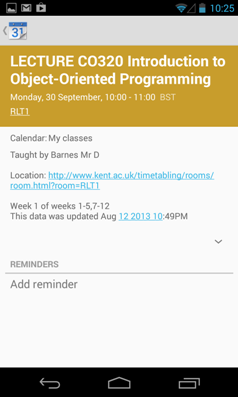 You can add your calendar subscription as a layer alongside your personal calendar in your Kent email account. This will have to be done on a desktop computer as the mobile view does not support the option properly. Go to your calendar and right click on Other Calendars > Open Calendar – where it says "Internet calendar" paste in the url for your feed.Currently we believe the Office365 Calendar updates daily so your calendar may not be up to date - if in doubt check your timetable in the Student Guide. Each event has a timestamp which shows when the feed was last updated at the source. The iCal file is generated in UTC/GMT time zone, so please ensure that any calendar application you use to view it is also set to this time zone. 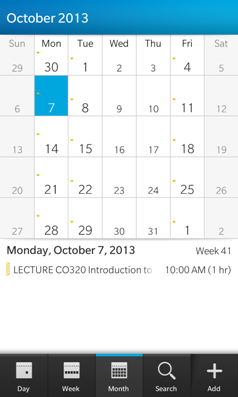 Once the calendar has imported, you can view it and use it to print a daily or weekly schedule. You can also set up reminders and alerts. The iCal file is generated in UTC/GMT time zone, so please ensure that any calendar application you use to view it is also set to the London time zone. 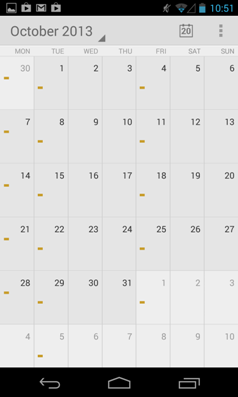 In Google Calendar click the drop down arrow next to Other Calendar and choose Add by URL. This will have to be done on a desktop computer as the mobile view does not support the option to add a subscription. Currently we believe Google Calendar updates daily so your calendar may not be up to date - if in doubt check your timetable in the Student Guide. Each event has a timestamp which shows when the feed was last updated at the source. The iCal file is generated in UTC/GMT time zone, so please ensure that any calendar application you use to view it is also set to this time zone. Choose General > Date & Time and turn Set Automatically on or off. If iPhone is set to update the time automatically, it gets the correct time over the cell network, and updates it for the time zone you're in. 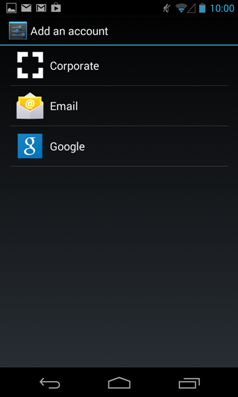 Choose General > Date & Time and turn Set Automatically off. Then enter a time zone, date, and time. Choose General > Date & Time and turn Time Zone Support on. When Time Zone Support is on, Calendar displays event dates and times in the time zone set for your calendars. When Time Zone Support is off, Calendar displays events in the time zone of your current location. 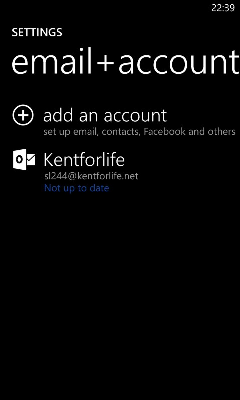 You can access your calendar on a Windows 8 device by linking with your Kent Office 365 account. On your device, select Settings, then Email + Account. On the Add an account screen select Outlook. Enter your e-mail address ([username]@kent.ac.uk) and password. When you are returned to the email + account page select the new account and check that both calendar and email are selected as content to sync. You can check if account is up to date on the email + account page (the blue text under the account details) and if not manually synchronise (menu appears by holding down account). 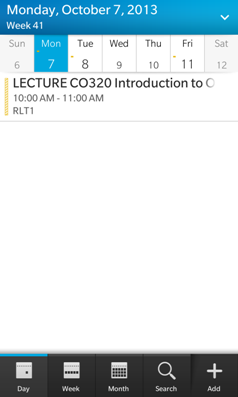 If events aren't showing you can check in the calendar settings (the "..." button at the bottom of the calendar page) that My classes is selected as visible. You can also customise the calendar colour scheme. The calendar can be viewed by day or by month. The event details includes when the calendar feed was last updated. 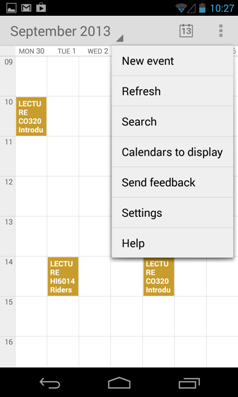 To access your timetable calendar using an Android device first subscribe to your feed in Google Calendar as above. 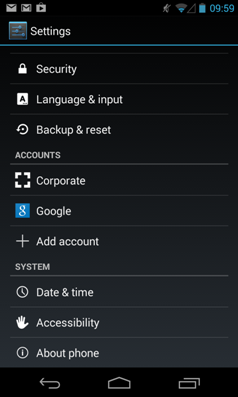 In Settings select Add account, then select Google. Enter your gmail address and password. Proceed through the next few screens (not shown) which offer options about Google +, Entertainment & Services until you get to Account sign-in successful. 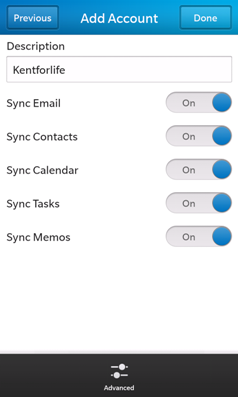 Ensure sync calendar is selected, then move to the next screen. 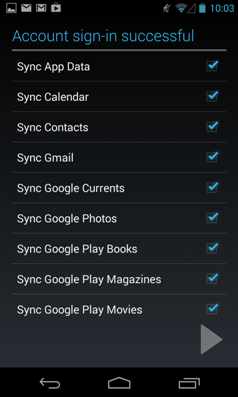 From the Settings menu scroll down to Accounts and select Google and choose the account linked to the calendar for Sync settings. 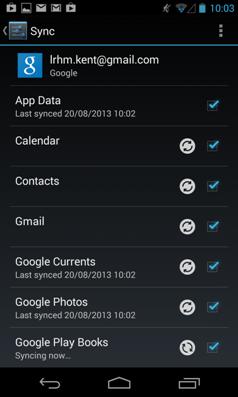 Ensure that calendar is selected, you can also manually sync your calendar from here. Within the calendar view you can access the Calendars to display & Calendars to sync menu from the calendar settings drop down. 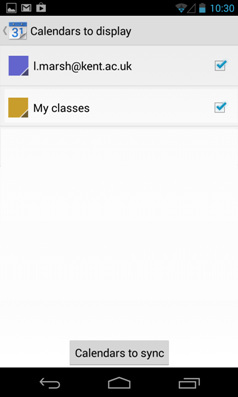 Check that My classes calendar is selected in Calendars to display and in Calendars to sync. Month and day views of calendar. Event details view, including when the data was last updated. 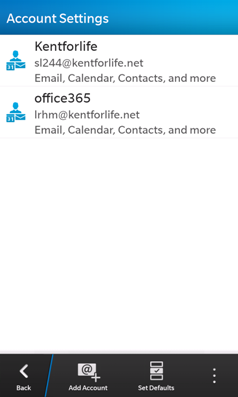 You can access your calendar on a Blackberry phone by linking with your Kent Office 365 account. First set up the calendar in the student email account as described above. 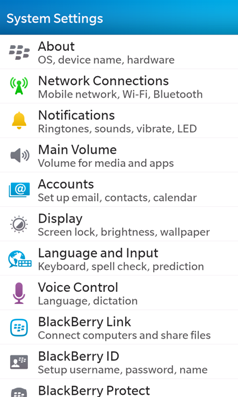 Select Accounts from the System Settings list. Click Add Account at the bottom of the screen. 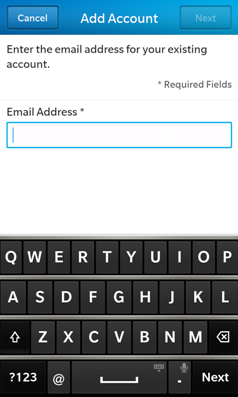 Select Email, Calendar and Contacts. Enter your Kent email address, then password on the next screen. 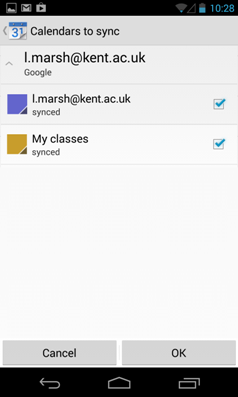 Ensure that Sync Calendar and Sync Email are selected on the Add Account screen. From the System Settings menu select Account Settings and choose your Kent account. 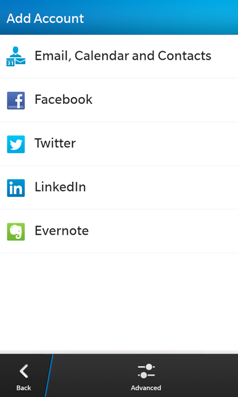 Ability to edit account settings after it is configured for syncing calendar.